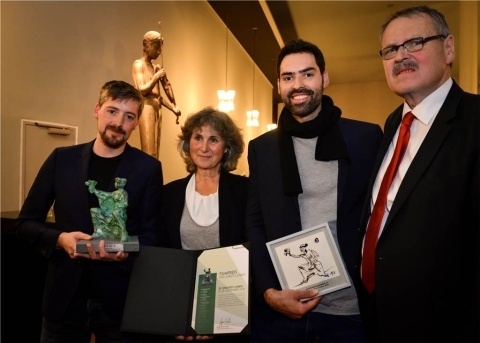 For his moving documentary “German Class”, director Florian Heinzen-Ziob won two top prizes at this year’s Filmfest Lünen on Sunday, 25 November 2018: the Audience Award, endowed with 10,000 Euros, and the School Film Prize 16+ awarded by the city of Unna. The film jury justified their decision thus: “The director opens up a new way of looking at the institution of the school: the Cologne teacher has only two years to prepare her students from abroad for the German school system. As in every class there are ambitious strivers and class clowns. Their stories show just how important learning a language is to become part of an initially foreign society and culture.” We congratulate Florian and the whole team for these prestigious awards!